Who Suits Your Business Best? If you’re looking to contract with Hunter Valley Commercial Cleaning Companies, you’ll find you have quite a few options in Newcastle and the Hunter Valley region. Some of them are going to suit your business needs better than others, and some of them will offer different ways of meeting your priorities. You may be looking for lowest-cost cleaning and happy to sacrifice a little of the quality or professionalism of the cleaning staff you deal with. If your budget is your number one priority, it’s also likely that you won’t have as much control over when cleaning staff can come in and perform their duties, or how often. 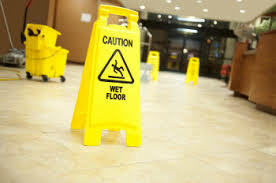 Different price levels of cleaning services might offer to carry out a wide range of cleaning tasks but draw the line at others, and you’ll find that some commercial cleaning operations are qualified to deal with hygiene product waste disposal whereas other operations will have to leave this aspect of facilities management to someone else. Before you make the first phone call or send an email looking for a quote, it will help to know exactly what it is you’re looking for from a Commercial Cleaning Company. This way, you can be assured when comparing quotes that you are comparing like for like. Make a list of necessities and preferences – things which you’d ideally like your cleaning contractor to offer but which aren’t absolute requirements. How many days a week do you think you need cleaning done, and for how many hours each shift? Would you rather that cleaning happened at very specific times? And does this depend on the type of cleaning / office area? For example, you might need someone to come in and vacuum the floor of your business every night after closing or every morning before opening, and you might want someone to come in and clean the staff kitchens during the two hours after staff take their lunch. You might want to arrange a certain minimum amount of cleaning to be done daily, and arrange for extra areas to be attended or special tasks to be done weekly or monthly. What are the areas that need to be cleaned in order to comply with health and safety standards, and how often? What are the key areas that are important for keeping up appearances for customers and clients? What daily or weekly tasks need to be done to achieve this? What are some items of cleaning that might really help with staff morale if they were regularly done by a contractor? Is it important to your brand image or organisational values to use a greener service with eco-conscious cleaning products? Are you responsible for the outside of your premises, e.g. cleaning gutters before fire season? Do you want a cleaning company who can also provide some general maintenance services? Are you looking for a Commercial Cleaning Company that has onsite team leaders that you can discuss important changes or extra services with? We hope this list of prompts has got you started thinking about what services your ideal cleaning contractor will offer. Footprint Services will be glad to offer you a tailored, no-obligation quote to meet your commercial needs.